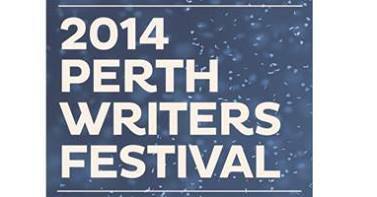 Get ready for the 2014 Perth Writers Festival! Last night was the launch of the Perth Writers Festival program. For three days next month, 21–23 February, Perth audiences will have the opportunity to see more than a hundred local writers, as well as a wonderful lineup of visitors including Eleanor Catton, Lionel Shriver, Margaret Drabble, Martin Amis, Richard Flanagan, Hannah Kent, Debra Adelaide, Min Anchee, Andrea Goldsmith, Chris Womersley, Thomas Kenneally, Carrie Tiffany, Jeet Thayil, Angela Meyer and David Vann—and that’s just scratching the surface. Oh, if only they would move this festival to the Jun-July school holidays when it’s cooler, I would book my flight now! I know what you mean! Last year the weather was pretty nice for the festival, but in years gone by… (well, you know my thoughts on summer). It was a great evening. Everyone enjoyed themselves. That baby duck stole the show afterwards; people wanted to take him home. It’s going to be an interesting festival for all involved.